Best Made Company, best known for their axes and axe films, has released a new product: the Japanese Hatchet. It’s got a blade that resembles a knife moreso than a traditional axe, but don’t bring this one near the kitchen. It’s recommended uses are in the forest, the garden, and the wood shop. Perfect for clearing light brush and chopping kindling, the Hatchet features a 6 1/2″ Yasuki extra-thick, white steel blade with a 5 1/2″ Japanese oak handle. 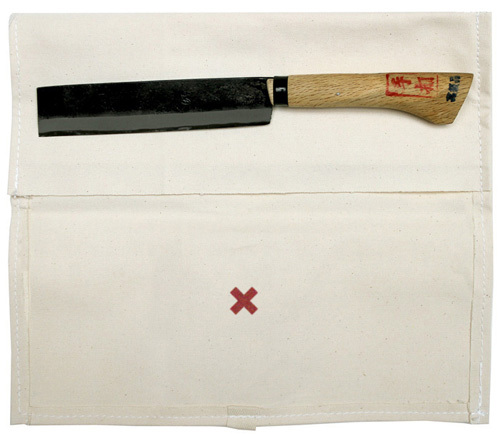 Instead of the standard leather sheath, it comes in a more traditional canvas tool roll. Available now for $95 at Best Made Co.